(282,532 UK pounds). 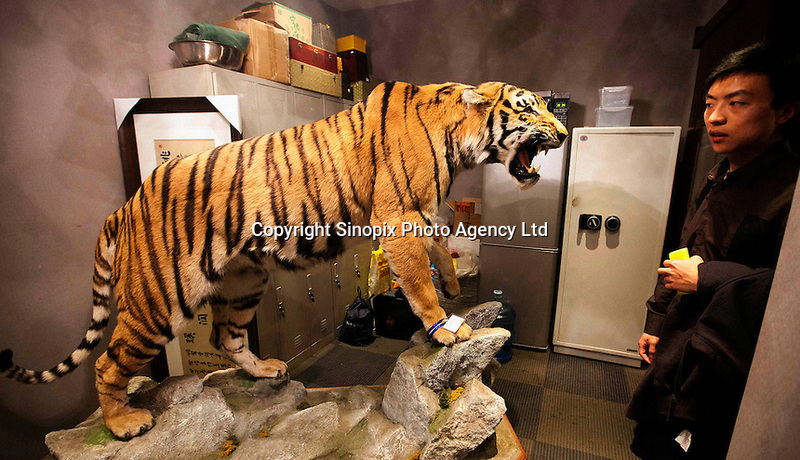 The tiger a rare and severely endangered species, mostly extinct in China, was for sale in a back room of a shop in a luxury part of the city. The shop-owner claimed that the tiger sale was registered as legal. China's wild tiger population has been all but decimated but the country currently has an on going breeding program and there are more tigers in "tiger farms" than the world's entire wild population. It has long been contended that the tiger farms provide tiger products ranging from tiger parts for medicine and bones for tiger wine, as well as stuffed whole animals and skins for collectors. Animals groups have been campaigning to close down tiger farms for over a decade.